These pajamas were featured in an ad for Rit Dyes. Delineator, April 1920. These pajamas from 1920 are gathered at the ankle. 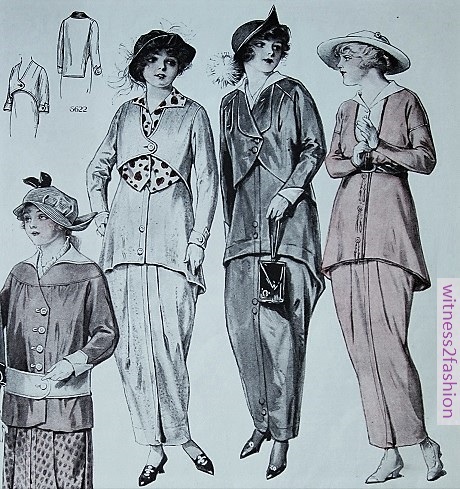 Butterick patterns for April 1920 include the “pajamas or lounging robe,” center, No. 2055. This pajama pattern was sized for misses and for women up to 44 inch bust measure — so it was not aimed at teens and college girls only. One-piece pajamas, also sleeveless, were shown in an ad for Dove Undergarments and Lingerie. 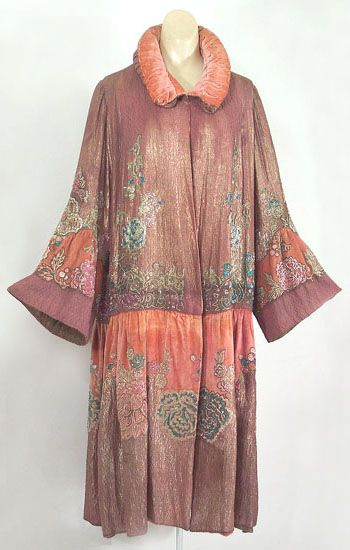 An empire waist nightgown or pajama could be purchased from the Dove lingerie company. Delineator, April 1920. A one-piece pajama, April 1920. Dove ad. These college girls are wearing print kimonos and lounging pajamas in an ad for Serpentine Crepe. Delineator, April 1920. The wall is decorated with pennants from East Coast universities, including Smith, Wellesley, and Radclifffe — women’s colleges. Serpentine Crepe was made by Pacific Mills, in Lawrence, Massachusetts. That’s their circular logo on the wall, below. 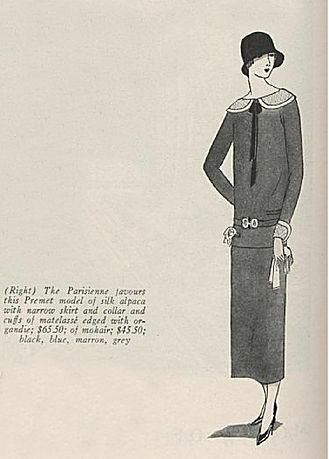 Pajamas, detail of ad for Serpentine Crepe, 1920. I do like the pattern of flying birds. 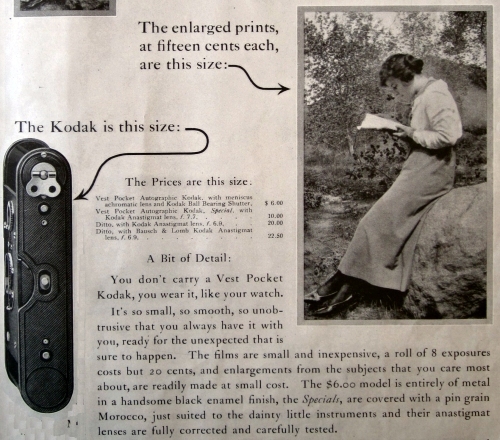 … and in new patterns issued as late as 1925 and 1926. Lingerie for Christmas, Delineator magazine, December 1925. Pajama pattern 6031 is lacy and ruffled, and gathered at the ankle. Butterick pajama 6947 is scalloped, with gathered ankles trimmed in Valenciennes lace. Delineator, July 1926. 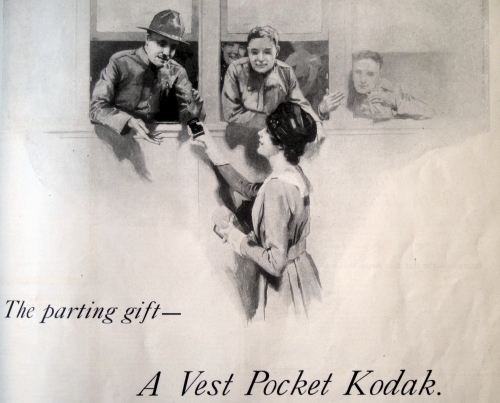 The sleeveless, V-necked 1926 top is similar to the 1920 pajama pattern No. 2055. In 1920, there was considerable variety in the pajama tops. The high-waisted top of this one-piece pajama has a square neckline and short kimono sleeves. The long top of these lounging pajamas is rather like the tunic dresses of the nineteen-teens. The bands of trim look like fagoting or insertion lace. But the alternate view of 2055 shows a version with sleeves and collar variations — and pajama bottoms that hang straight and loose at the ankle. Alternate views of Butterick “pajama or lounging robe” No. 2055. 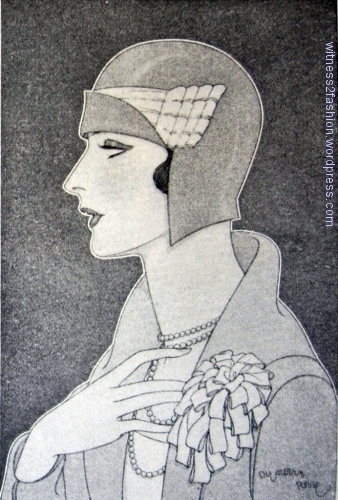 Delineator, April, 1920. 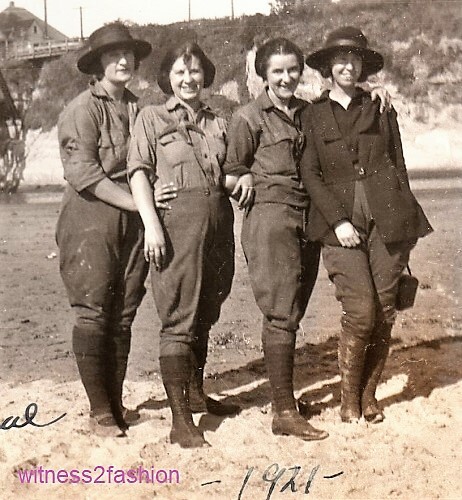 It’s possible to imagine this sailor-collared pajama venturing out onto the beach — eventually. 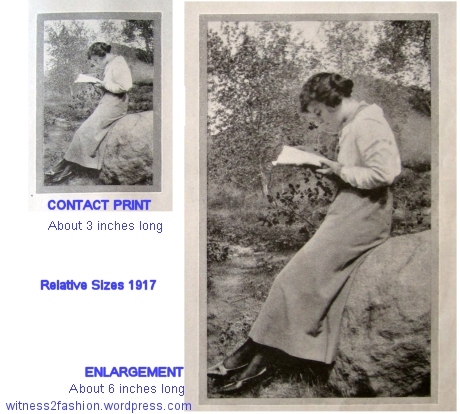 Butterick 5948, pajamas from April of 1925, can be worn as beach pajamas. Delineator. When did women start wearing pajamas? The Vintage Traveler wrote about that question here. Sweet dreams, everyone!